When a new Mustang needs to be tested for its drifting abilities, Vaughn Gittin, Jr. is ready to strap into the driver's seat. But this particular Mustang was not chosen at random. All Ford Mustangs are built in one place: the Flat Rock Assembly Plant in Michigan. 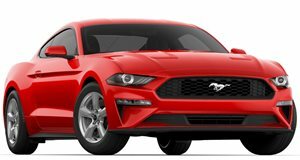 Of the 500 pony-cars that role off the line every shift, five percent are randomly picked to undergo a test-track evaluation. Enter Vaughn Gittin, Jr., the pro drifting champion who competes in the Formula D series in a modified Mustang sponsored by Monster Energy. For whatever reason (who are we to question such hoonery?) he was brought to the plant&apos;s testing grounds with one assignment: drive the wheels off a new Mustang.